NEWSTEAM ASSEEEEEMMBLE!! 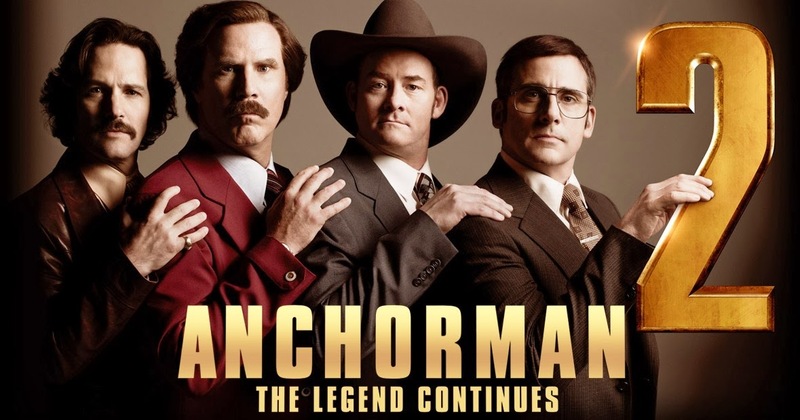 After a few years in the wilderness, Ron Burgundy and the Action News Team are back for their long-awaited sequel to Anchorman (2004). I must declare something, upon first viewing I wasn’t particularly impressed by the first Anchorman. Frankly I just didn’t really get it, the silliness and disjointed dialogue kind of threw me for a loop. But on subsequent viewings it blossomed into one of my favourite comedies. I’m hoping that this is also the case with Anchorman 2 because currently I’m a little underwhelmed by it. Set about ten years after the original film, Ron (Will Ferrell) and Veronica Corningstone (Christina Applegate) are co-anchors of their local San Diego News. They are married and have a child, Walter (Judah Nelson, who is a terrible child actor). After a string of blunders Ron is fired and Veronica is given the prized primetime anchor position, sound familiar yet? Ron is recruited to join the first ever 24-hour news station, so he quickly rounds up the gang and they head to New York. The guys get themselves embroiled in wacky hi-jinks befitting of the Action News team. It’s essentially a fish out of water story as the guys trying to survive in the big city. 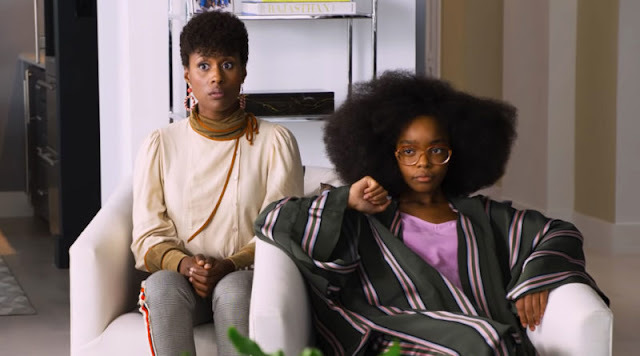 The problem with this film is that Will Ferrell and director Adam McKay who share the writing duties have taken any elements that worked in the original film and cranked them up to eleven. The biggest change being the character of Brick (Steve Carell). It’s as if he is now a caricature of himself, with everything he says being more absurd and even his mannerism being gross exaggerations of what he did before. Whatever happened to less is more? This typifies the bulk of the changes made for this film, it’s the self-indulgent over-the-top-ness of it all which prevented me from enjoying myself, coupled with sequelitis where they had to squeeze everything in from jazz flute, to Baxter saving Ron and even another News team battle sequence. This just doesn’t have the charm or execution of the first film. The film definitely too long. It weighs in at two hours which is half an hour longer than the first one, and an edit may have just tightened the plot up a little. That being said, there are enough laughs throughout this film which keep things ticking along. The film is littered with little pockets of absurdity that only Will Ferrell is gutsy enough to put up on screen. The highlight of which is Ron nursing a certain creature back to full health, which I won’t spoil as I don’t think I could do it the justice it deserves. The film also manages to sneak in some sly commentary about modern day news outlets, however it doesn't take it much further than what was already established in the first film. In a similar vein the film lampoons the excesses of the 80s, just as the first film looks at the boozy antics of the 70s. Something tells me though, that this is far more fun for these guys to make than it is for us to watch. For lovers of Anchorman, go into this film with an open mind and just enjoy it for what it is, a few hours of the gang being back together. You’ll still have the original to treasure and you may even pick a few more one liners to whip out over social media now and then. Hopefully the next time I watch this film it’ll have had time to develop a little more for my taste buds. 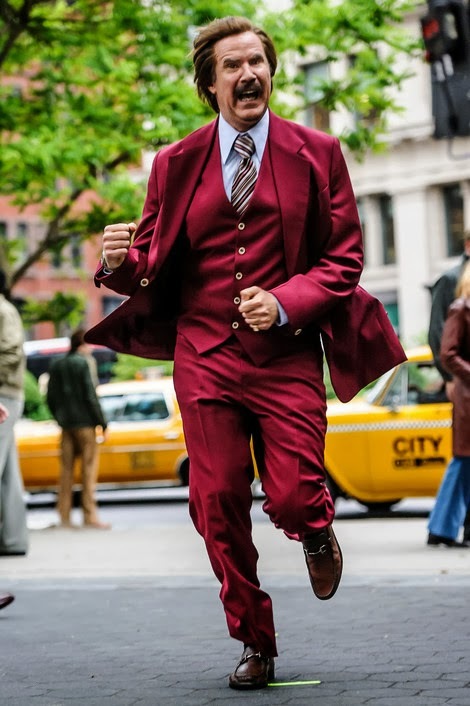 Anchorman 2: The Legend Continues, hits cinemas this Thursday. If you see the film and agree or disagree feel free to drop a line below.